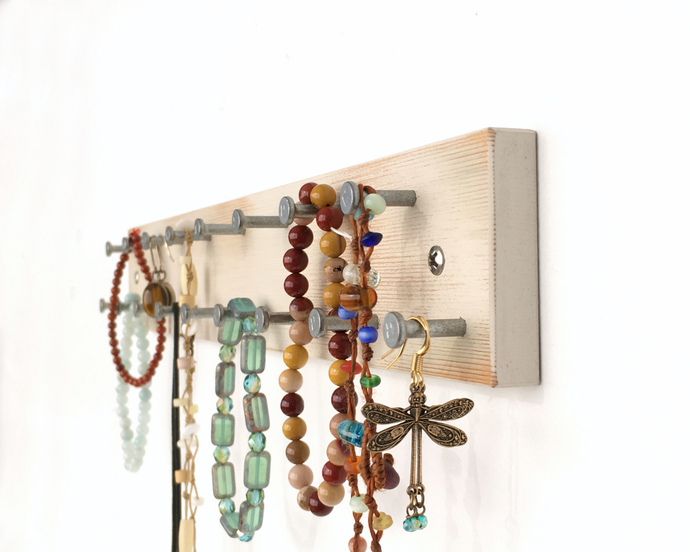 A lovely wood jewelry rack made for rings and necklaces, earrings, and bracelets. 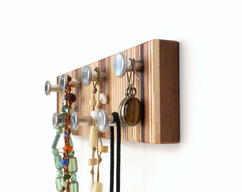 Use to store your jewelry in small spaces. 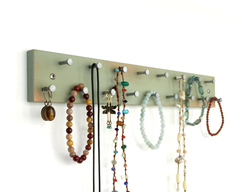 Next to the mirror in the bathroom, or above the dresser, this rack can hold at least 17 pieces of jewelry. 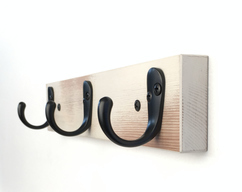 Carefully crafted from solid reclaimed wood, hand painted and distressed. 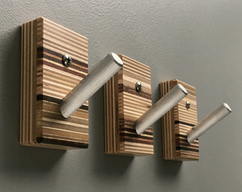 Durable off-white finish over smooth wood, and cold steel contrast nicely. 17 metal pins are driven in pre-drilled holes. -Pre-drilled holes make for nice and easy mounting. Includes standard #6 helical plastic drywall anchors and screws for 3/8" to 1/2" drywall. The screws supplied will also work in wood.